Getting the grill out early is the perfect way to get ready for summertime. For many of us in the United States, springtime brings about perfect weather for grilling up a hot and tasty meal while it's still a bit chilly out. From grilled corn on the cob to juicy hamburgers and toasted hot dogs, spring grilling is sure to please your taste buds. For now, let's take a quick look at a few springtime grilling tips, replacement parts you might want to invest in, and springtime-themed grilling recipe ideas you'll definitely want to take advantage of. Your grill has been in the shed or just sitting out on the deck all winter. It's probably collected a lot of dust and debris, and it is pertinent that you clean it before you start grilling on it once spring rolls around. With this in mind, you'll want to use soapy water to remove this dust and debris on both the inside and outside of the grill. Don't forget your grilling utensils either; they need to be clean and ready for grilling just as much as the actual grill. Another springtime grilling tip you'll definitely want to follow is painting your grill with rustproof metal paint. This tip, of course, applies only to the exterior of the grill. With April showers bringing about May flowers, you'll want the rain to steer clear of rusting your grill, so painting it is an excellent way to achieve this goal. When painting, there's no need to fret about painting the wheels or hardware; these grill replacement parts are inexpensive to replace. Stocking the fuel: A gas grill needs gas to operate. Cleaning the grease traps: Grease traps must be clean or they can catch fire, and your entire grill may blow up causing great injury. Covering the grill: Springtime can bring about some varying weather. 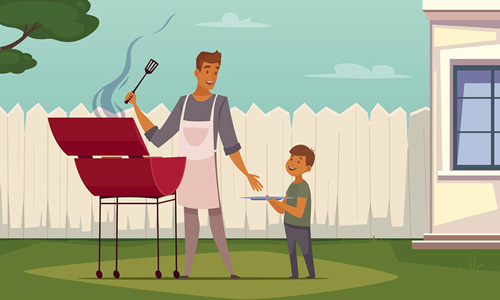 From sunshine to wind and even rain, you'll want to protect your grill from harsh weather by keeping it covered when it's not in use. There are several common grill parts that you will want to assess, and possibly replace, come springtime. First, you'll want to check the burners, which act as a source of heat. Depending on the grill you own, it may have a single burner or multiple ones. Typically, the burners are oval-shaped or H-shaped. If you have a high-end grill, it is possible that it will have up to four or more burners. If it doesn't, they are generally referred to as tube or rail burners. When investing in replacement burners, make sure to purchase stainless steel gas burners as they tend to last the longest. The rock and cooking grates may also need to be replaced once springtime rolls around. Fortunately, rock grates are extremely inexpensive to replace. Cooking grates, on the other hand, can be a bit expensive, especially when you invest in the proper type -- stainless steel. You may be enticed to buy chrome-plated steel grates because they are cheaper, but they won't last near as long as stainless steel or cast iron grates, especially when it comes to rust. If you don't want to invest in rock grates, you can always replace them with heat shields. A heat shield serves the same purpose as a rock grate, except it doesn't hold bacteria, which, of course, makes the food you grill much healthier to consume. Additionally, heat shields tend to be easier to replace than rock grates. When you're grilling on a PGS grill, spring is the perfect time to serve up hot and delicious food. If you're looking for springtime-themed grilling recipes, there's no need to look any further. 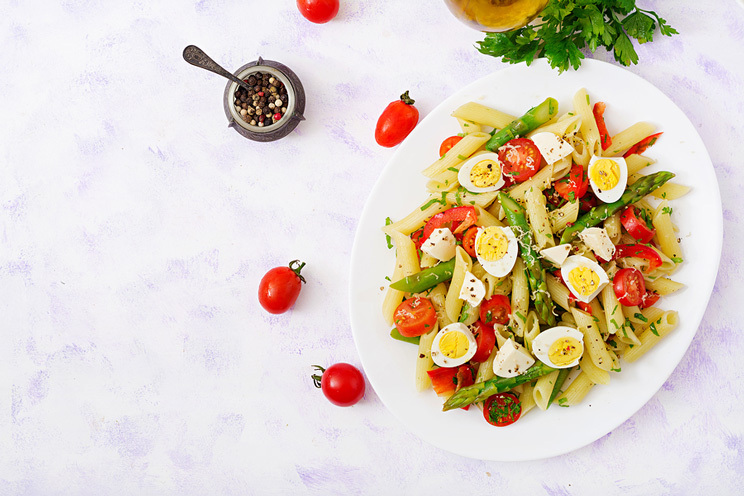 Check out these two ideas that are sure to have your taste buds looking forward to springtime every year. Spring is the ideal time to get back in shape. The weather starts warming up, and it's the perfect time to get out and about and enjoy walking and biking. In addition to exercising, you'll also want to take advantage of healthy grilling options, like grilled asparagus with mozzarella. Spark up the grill to medium heat, lightly grill asparagus and sprinkle mozzarella over it along with a few drops of lemon vinaigrette about three minutes before you pull the asparagus off the grill. Another healthy springtime grilling recipe that you'll want to take advantage of is Tuscan chicken with grilled fennel and onions. Simply grill your chicken in aluminum foil that has been lined in vegetable oil and fennel and onions. The fennel and onions will lightly marinate the chicken as it grills. If you prefer a spicy Tuscan taste, make sure to throw in some crushed red pepper about five minutes before the chicken is through cooking.